Owning a private island seems to be wishful thinking everyone. 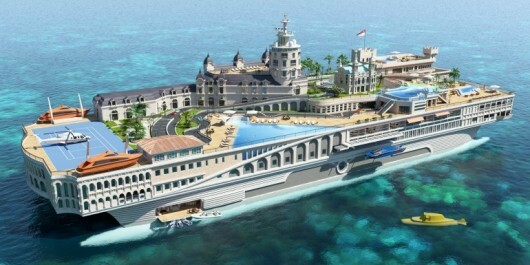 So what if you have a personal island that can move? Of course it became a separate form of luxury is not it? 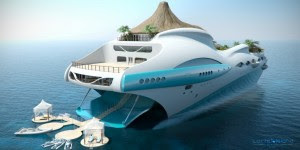 Recently a design company making a yacht named Island Yacht Design released the results of his latest designs. 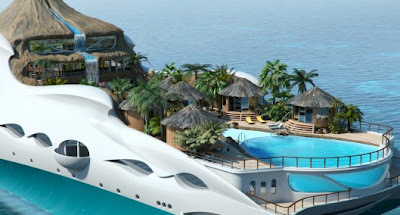 After successfully making the ship design with the feel of the streets in Monaco, they are now innovating with the atmosphere of a tropical island on a cruise ship. Tropical island which can move up to a speed of 15 knots has a length of 90 meters, is quite broad. The atmosphere in this artificial island was almost similar to the situation in a typical tropical island. Amidships, there is a towering mountain. Next is the main place of private tropical island that can move this place to pamper yourself. Right at the bottom of the mountain, there is a waterfall, which then flows into an inlet which your personal pool. Certainly very nice to have a bay as a private pool. This is where you can pamper yourself and your colleagues. Here are a bar, private spa, and four VIP rooms, all equipped with balconies. 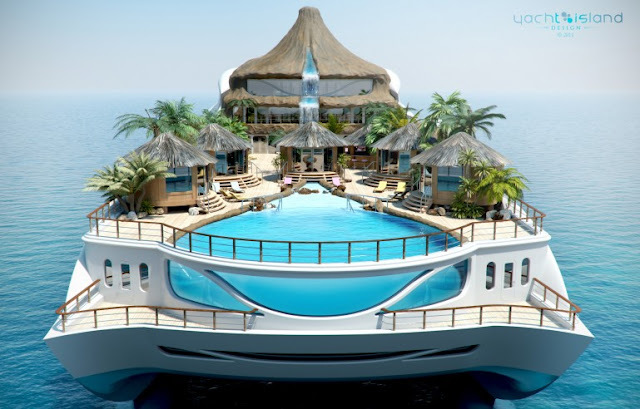 Just in case your friends want to visit this private island, there is also a helipad located on the rear portions of the ship. So you can have visitors whenever you want. Lastly, is the part below the bay or your private pool. Here could be used as a recreation center because there are few recreational facilities such as jet skiing, kayaking and RIB.